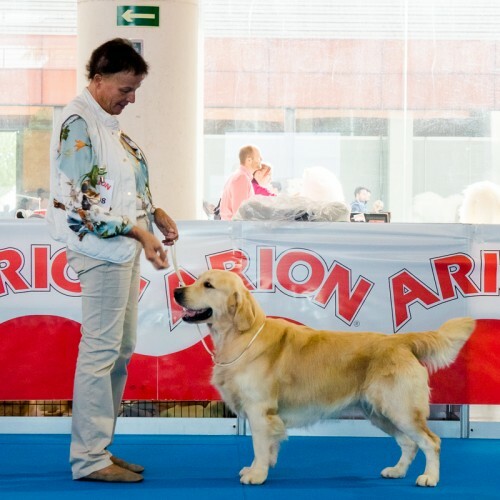 Talavera is the Queen, this show is the obligatory point for the Championship of Beauty and is probably the show of highest level that is celebrated in Spain. 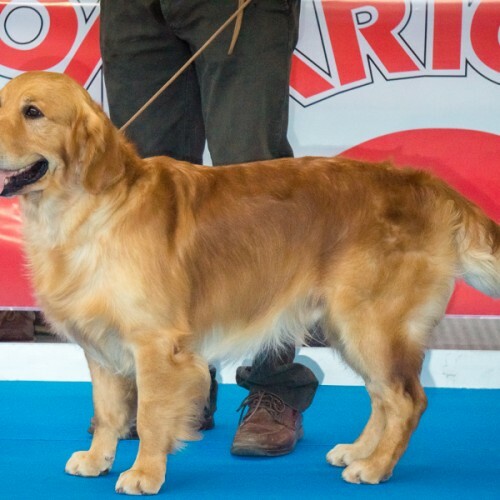 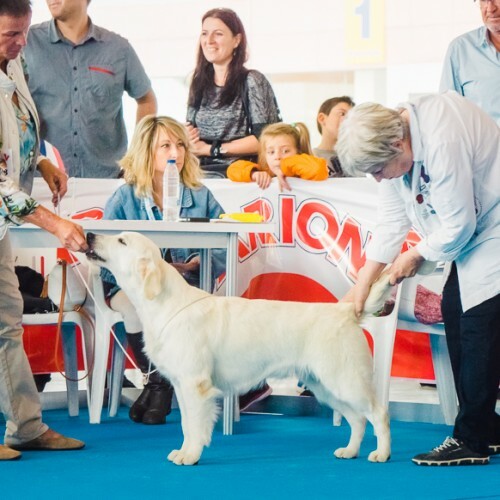 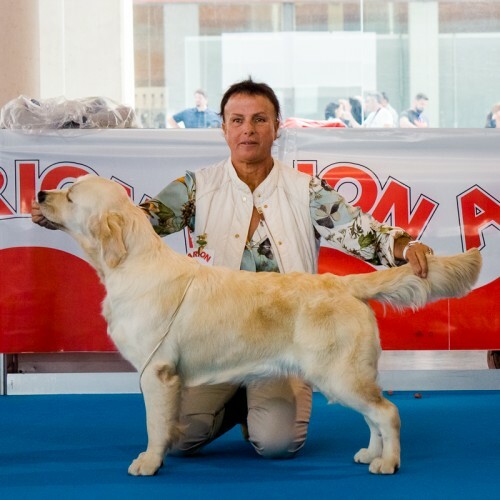 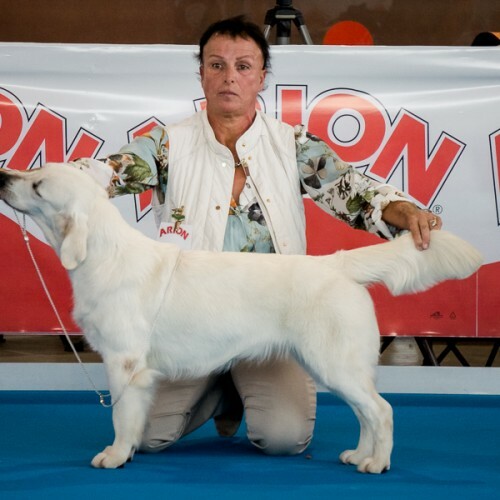 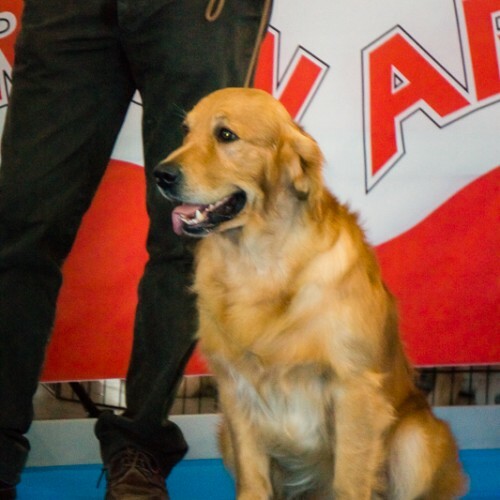 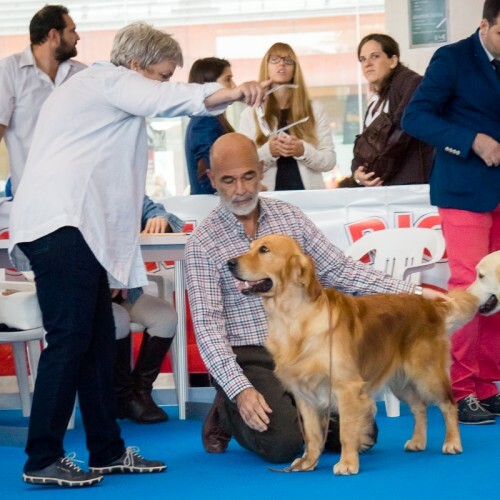 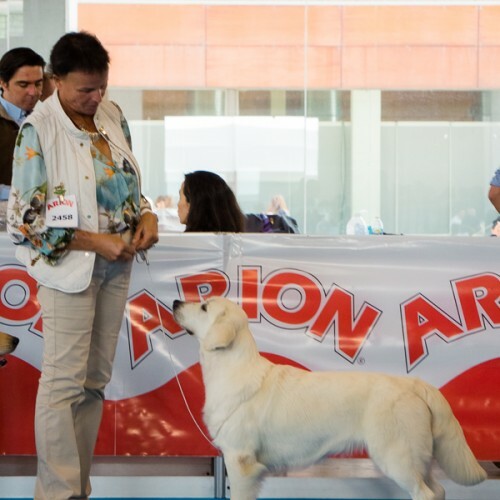 We have returned to compete, to live through the emotion and the stress of the competition, the spanish golden dogs are to the highest level, between so many excellences we have not been this time chosen, even though we got our Excellent qualifications. 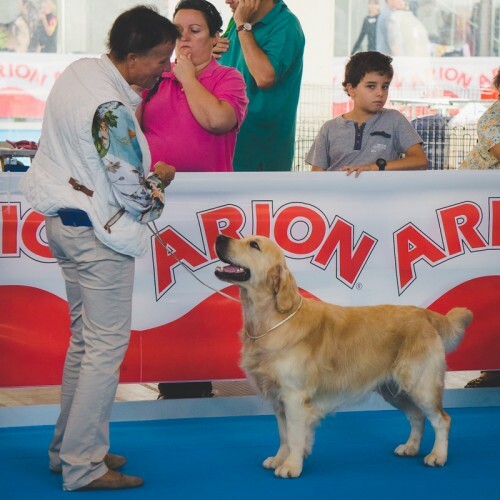 Coming back home and having seen the photos of the show, I have seen such nice dogs and environment that I have returned to feel the pride of breeding. 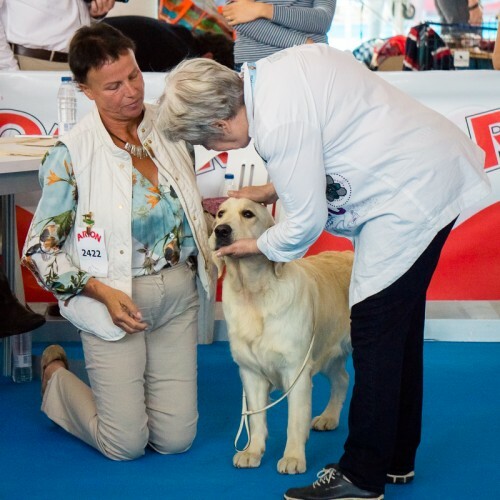 This way for which the breed goes in our country we have made it all together during all this time, the result sometimes is something more than the individual success, new generations push hard and encourage us to share the ring with them. 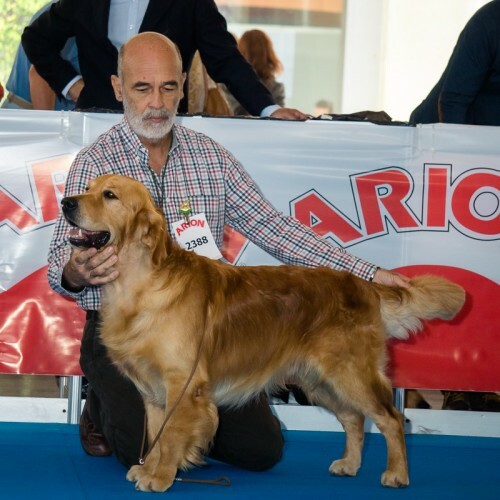 In day after day we fight to develop the breed with illusion and effort, the dogs always return to us the message of his loyalty and his desire of living, return his own worn out beauty to us and they remind us that always they will be unique for us. 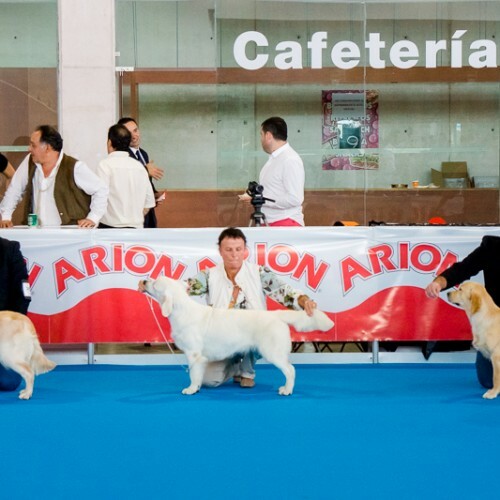 I thank of being able to live through this experience, congratulation to the winners, enjoy the photos.